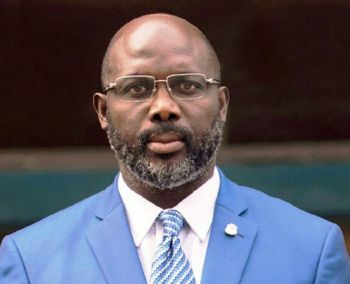 The President of the Republic of Liberia, His Excellency Dr. George Manneh Weah has by Proclamation declared Thursday, November 1st, 2018 as National Thanksgiving Day and is to be observed throughout the Republic as a National Holiday. the Proclamation calls on Liberians and foreign residents within the borders of Liberia, Priests, Imams, Bishops, Pastors, Clergies as well as religious organizations in the country to gather in their various places of worship and offer thanks and praises to the Almighty God so that He may continuously protect the Nation and its People. A Foreign Ministry release says the Proclamation is in consonance with an Act of National Legislature of the Republic of Liberia, enacted in 1883, declaring the first Thursday in the month of November of each year as National Thanksgiving Day. The Proclamation says it is befitting that a day has been set aside for the Nation and its People to give thanks and adoration to the Lord for his dispensation of grace, mercy and provision as well as the preservation of lives. The Proclamation further noted that the People of Liberia have always given thanks and praises to the Almighty God for his tender mercies and manifold blessings bestowed upon the Country, especially for continuous protection in time of peace, disaster and other natural phenomena over the years.